BetVictor describes themselves as one of the biggest online betting sites, and in this BetVictor review, we will judge how accurate that statement really is. Find out how their welcome bonus, betting markets, and other features compare to other sites in the industry. This will help you determine if BetVictor is the right bookmaker for you. Betting markets are the lifeblood of a sportsbook, and BetVictor has some great betting market options to choose from. The site highlights the most high-profile events at the top of their menu, but below that is a long list of different sports to wager on for players who want a little bit of everything. Included in that long list are things like Gaelic Football and other sports that do not get the same love as their more high-profile counterparts. As for what you can find in the list of sports themselves, the top sports have a nice list of prop bets and other types of wagers to take advantage of. 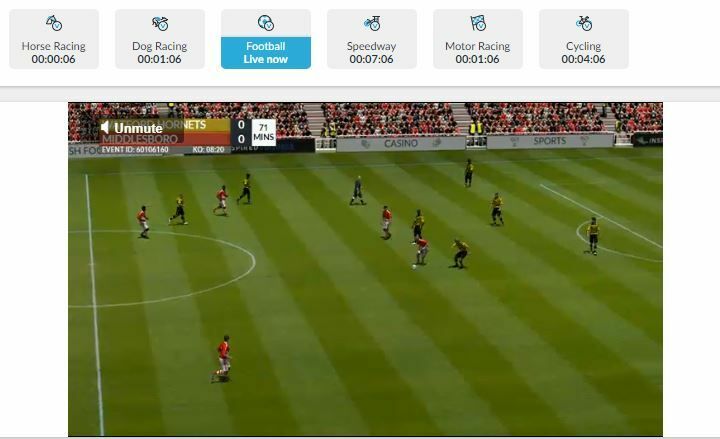 These keep things fresh, as players can wager on different angles from a number of different games, including things like first goalscorers and player totals across various sports. This section of the BetVictor review earns top marks. Odds at BetVictor are nothing special but they are find relative to their counterparts that are similar in stature. Odds are fairly standard across most market types and sports, although it is always worth researching the odds on your favourite sport to make sure that you aren't getting subpar odds. As always, how favourable odds are can depend on what you prefer to bet on, making these worth researching before you sign up at a given site. The lack of anything offensive in terms of odds makes this site a purveyor of perfectly useful odds. Also a positive is the fact that BetVictor offers frequent bet boosts, to enhance the value of some selections. Having live streaming is a huge boost for a sportsbook, as it lets players make wagers and watch the events that matter to them in one convenient place. In this section of our BetVictor review, BetVictor has some different chances for players to stream horse racing events that matter to them from the UK, Ireland, South Africa, and the United Arab Emirates. This is a nice roster of racing to choose from and can be viewed for as little as a £1 wager on the events you want to watch. While you would love to see other sports involved, this is a great thing to have access to. BetVictor has something to appeal to all of their players, with a suite of different apps that they can choose from. Players can download the BetVictor app for iOS devices or Android devices, which means that the vast majority of mobile device users will be covered by those two methods. Also, players who have different types of phones can be safe and not sorry when it comes to using BetVictor on the go. This is due to the presence of a very good mobile site at BetVictor. BetVictor checks all of the boxes you would want to be checked when it comes to payment options, which gives them a good score in this section of the BetVictor review. The site has major credit cards from Visa and MasterCard covered, as well as big name eWallets like Skrill and Neteller. Bank transfers are also a possibility, which gives the site a solid number of methods to choose from. Having the clock customer care is important as a sportsbook because most people are unable to call them during business hours. In our BetVictor review, the site gets a ton of credit for this, and for having a live chat service for players to take advantage of. It can never be understated how important live chat support is to players, as they can have their inquiries answered both instantly and without having to jump on a phone call to do so. BetVictor is a top-notch sportsbook, as evidenced by their partners with elite football clubs. The subject of this BetVictor review, the site has a lot going for it in the way of great customer service and a great selection of betting markets to choose from. When it comes to negatives, there aren't too many to run through for this site, which speaks to just how high-quality it is when it is at its best. Overall, this BetVictor review gives kudos to the site for having plenty of positive qualities from start to finish.